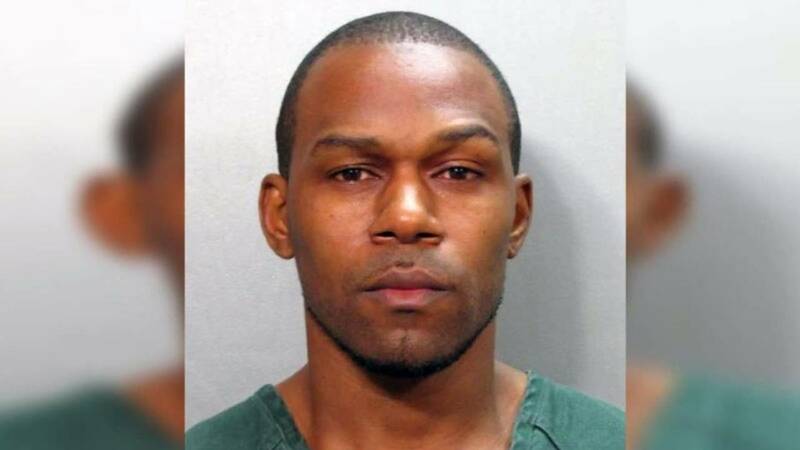 JACKSONVILLE, Fla. - Police believe they have the suspect in Lonzie Barton's disappearance in custody, and said the story he initially told them about they boy being taken during a car theft early last Friday morning was a lie. Jacksonville Sheriff's Office investigators say Ruben Ebron is clever and thinks he can outsmart detectives, and for days Chief of Investigations Tom Hackney has asked anyone in contact with Ebron in jail to "appeal to his heart" to do the right thing and say what really happened to the toddler. Without information from him, authorities are forced to search all across the city. "All this can be put to rest, Lonzie can be found, by Ruben Ebron doing the right thing," Hackney said. Ebron did admit that he left Lonzie and his 5-year-old sister in his car while he was inside his apartment using cocaine. Since Friday night, Ebron has been in the Duval County jail, charged with two counts of felony child neglect, although police say those charges are unrelated to this case. After five days of Ebron's lack of cooperation, police brought in an FBI profiler, who spoke to him on Wednesday. While that person isn't talking to the media, News4Jax spoke to a forensic psychologist about what investigators can do to get the truth out of their suspect. "They've got to be very patient in dealing with the suspect that is not sharing credible information," said Justin D'Arienzo, Ph.D. "Every suspect is different and interrogators have to be flexible and adaptive." D'Arienzo has worked with criminal interrogators, even with detainees in Guantanamo Bay. He said police are likely using a number of techniques to try to pry information from an uncooperative suspect. "What is usually used first is establishing rapport, because we usually get some good information," D'Arienzo said. "That can be done using the good cop, bad cop scenario using two people: One person is being more stressful for the person and the other person is coming in and kind of saving the day. They are more likely to give the information to the good cop that is saving the day." All these interrogations are recorded and investigators often review the video for inconsistencies. That way they can prove when a suspect has changed his story, and use it against him. "Over time, it is easy to start slipping up and make mistakes, and then you can certainly exploit those weaknesses in the story," D'Arienzo said. Police can't force someone to talk -- it's their right to remain silent. Authorities also can't deprive them of food, water or sleep. "But you can certainly be confrontational and make threats about what kind of sentences they could receive if they don't come forward," D'Arienzo said. D'Arienzo said that although police have gone nearly a week without answers, interrogators are not giving up hope that Ebron may tell them what he knows. "About 50 percent of people confess during interrogation, so you've got about a 50-50 shot of whether somebody will confess," D'Arienzo said. While police have not had luck getting Ebron to talk with them, the suspect Lonzie's disappearance did answer questions from one local reporter, Clara McLaughlin, owner and publisher of the Florida Star. An article based on that appearance will appear in the next issue of the weekly newspaper. "He is not feeling well because he says he wants Lonzie found. And, he would like to talk to his girlfriend. He's not allowed to talk with her," McLaughlin said. "He says questions being asked of him are not pertaining to Lonzie being found, and that's what's bothering him. He wants the baby found." News4Jax asked Ebron's public defender for a comment, but he declined. Police are still asking anyone who knows Ebron to visit him in the jail and convince him to tell the truth so they can bring this massive search to an end.